Inspirational speaker & advocate Megan Gallagher, @meganwgallagher! 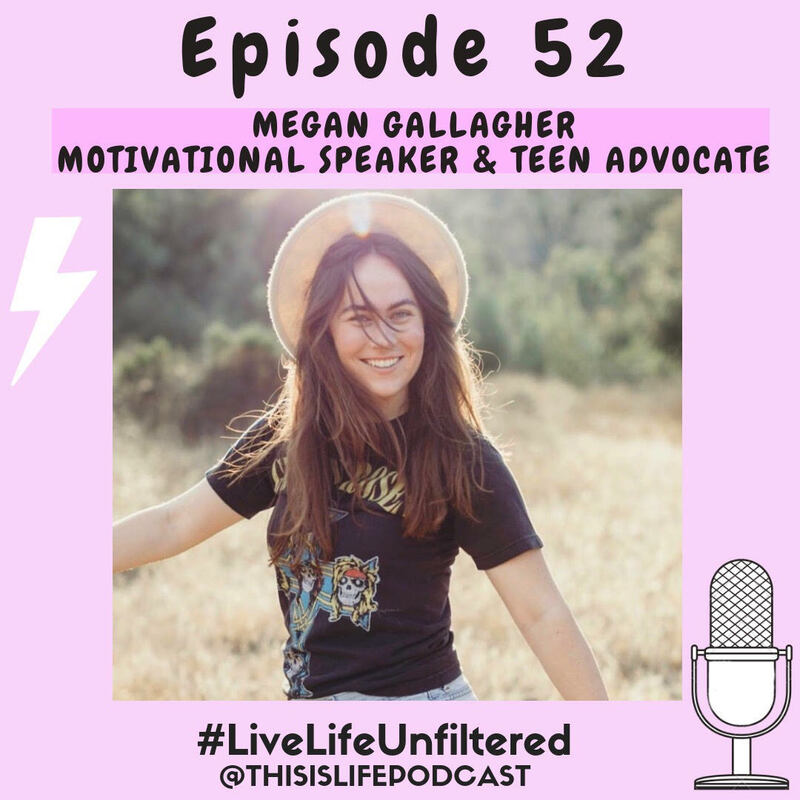 I love reading through This is Life Unfiltered submissions from you guys and Megan’s stood out to me- her story is quite unique: after suffering with extreme anxiety and stress, she decided to drop out of college and pursue her passion of giving back to students by inspiring them with her story. She now puts on talks and workshops for teens where she teaches them about mindfulness, loving yourself, and trusting their own intuition. Follow Megan on social media at @meganwgallagher.